Shadow transport secretary Andy McDonald has accused Theresa May of “holding a gun to the country’s head” over her Brexit deal. Questioned on air by Mike Graham about Labour’s policy on a second referendum, Mr McDonald said the party would support it if no alternative deal was put forward. “We’ve said we want to see a deal that works. If we don’t have that deal, if Theresa May is determinedly going to go ahead with this programme, then we are including the option of a second referendum,” he said. “Your constituents wouldn’t be too happy,” said Graham, who, on New Year’s Eve, clashed with Labour MP Stephen Doughty, who claimed to have received 1,000 emails from people wanting another vote. “66 per cent of people in my constituency voted to leave the EU, perhaps some have changed their minds,” said Mr McDonald. “The way to bring the country together is to negotiate a deal that brings us together, to say that yes, we can be out with the institutions of the European Union, but we must have those strong trading relationships with it. 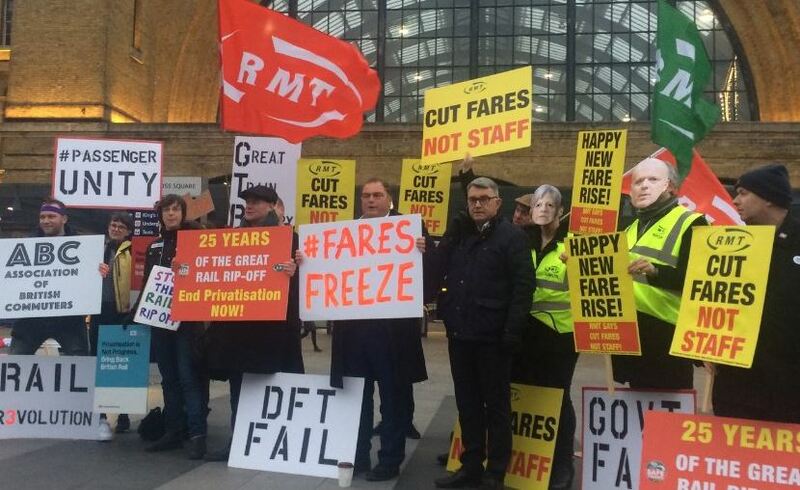 On the rail fare hikes announced on Wednesday, Mr McDonald said passengers would be “furious”. "It’s a 36% increase since 2010 and they’ve gone up two and a half times the rate of wage increases. The charge that this money is needed for investment in the railway and better services is ringing hollow, people will be furious thinking about their overcrowded train or cancelled trains today,” he said. He reiterated Labour’s promise to renationalise the rail system. “We would abandon this franchise system, which has quite clearly fallen apart - it is a very costly exercise to run,” he said. “We’d remove all this duplication of costs across this multiplicity of providers, who don’t take responsibility for getting passengers from point A to point B - they can park responsibility at changeover. “We would remove the ability for people to extract profit, as they currently do. “We’ve got to change it to make sure it runs for our benefit as a nation, not for shareholders.